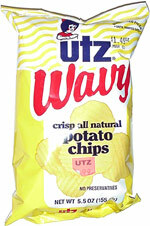 Taste test: These are good potato chips with wide ripples. They remind us of Cottage Fries. 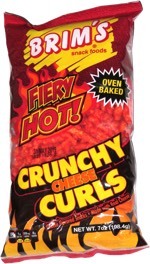 They've got lots of crunch, good potato flavor and not too much salt. The chips were large and unbroken, and they had enough strength to scoop up some Heluva Good dip without breaking. Smell test: Smell like Cottage Fries  potatoey. This snack was discovered by Jeremy.